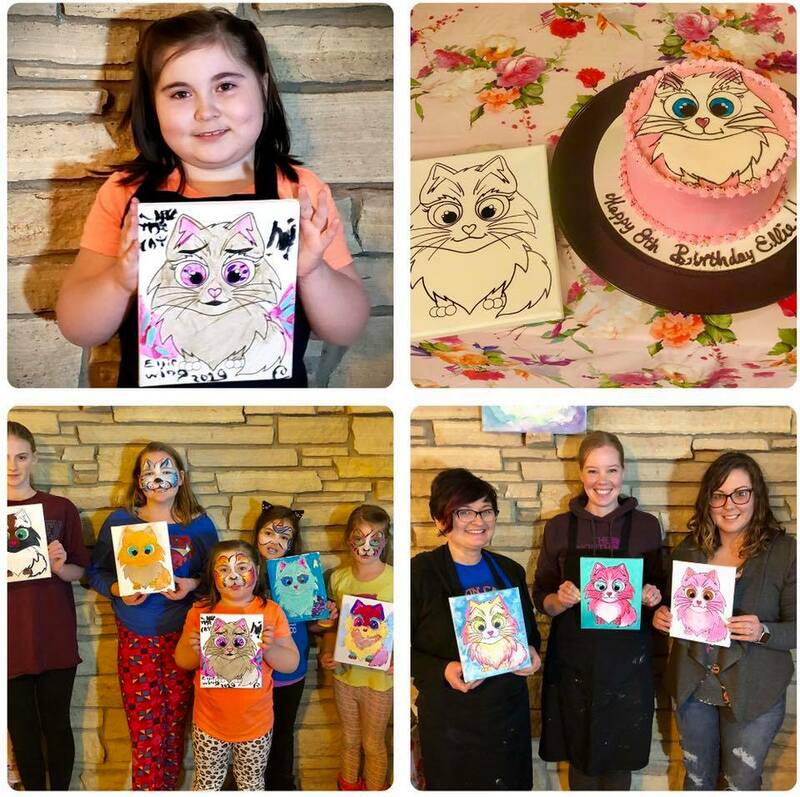 Looking for a fun unique birthday party idea? Have an art party with Glitz & Glam! Perfect for a birthday parties or even art instruction! I will teach students about the color wheel, mixing colors, brush strokes, and they will be able to take their creations home with them the same day. 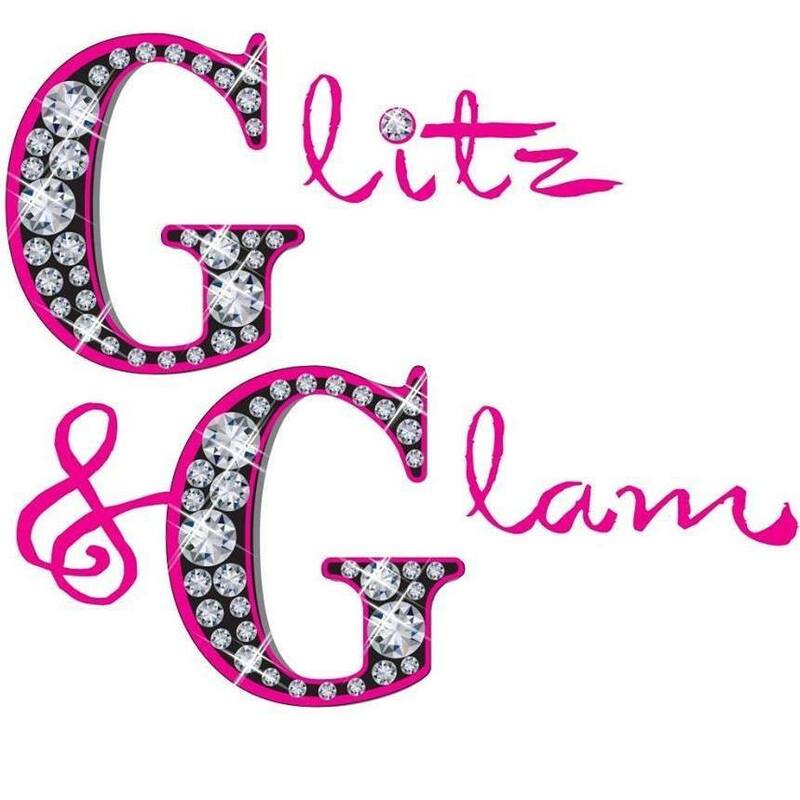 Welcome to Glitz & Glam Art Jam! 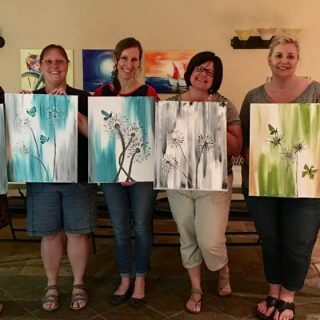 We host canvas painting parties at our facility in Czech Village or we can come to you and host a canvas painting party at your favorite location. We get so excited about all the wonderful things we can create together! 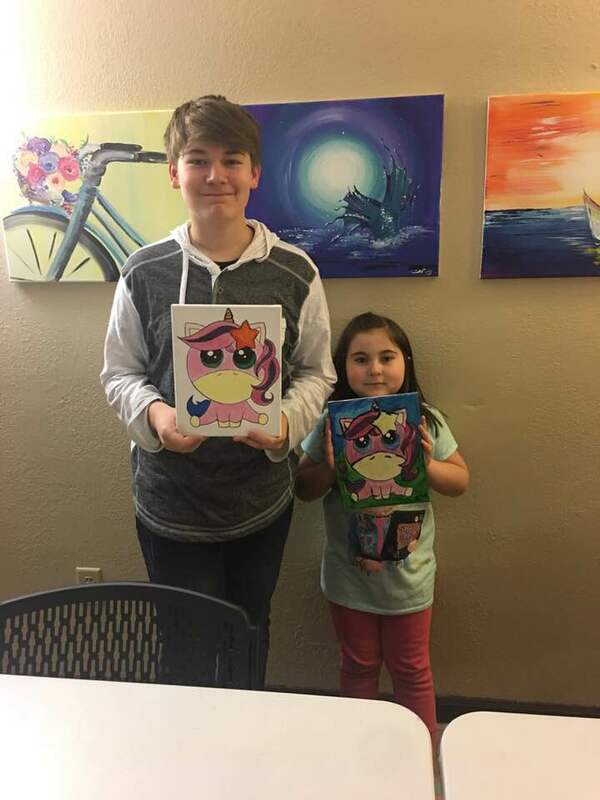 We offer some kid friendly painting classes that are perfect for a child’s birthday party! Everything they need to create their painting will be provided! Including fun instruction from Tina! I will teach students about the color wheel, mixing colors, brush strokes, and they will be able to take their creations home with them the same day. 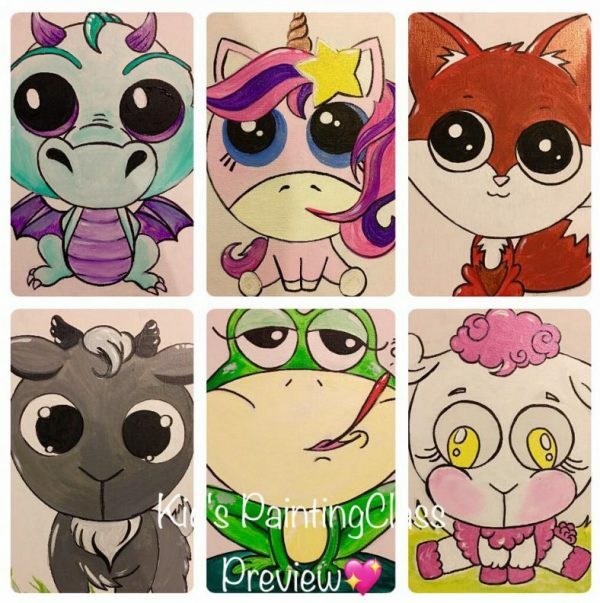 Fun canvas designs available such as dragon, unicorn, fox, frog, sheep, & more. Don’t see something you want, just ask me and we can create something unique!